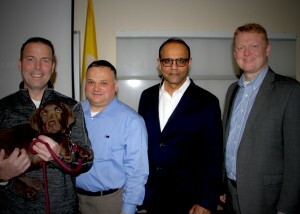 From left: Armstrong Ambulance CEO Rich Raymond (holding Willie), St. Elizabeth’s EMS Manager Jeff Scafidi, Dr. Sush Prusty and Armstrong Director of Clinical Integration Ben Podsiadlo. Several members of the Armstrong Ambulance team attended a recent heart health event in Boston, where one member presented to fellow attendees and another was presented with an award. The ST-Elevation Myocardial Infarction (STEMI) Boot Camp, held Saturday, March 23, at St. Elizabeth’s Medical Center in Boston featured an in-depth look at the issues surrounding STEMI, which is one of the most severe forms of heart attack. The Boot Camp was led by Dr. Sush Prusty, and included a presentation by Armstrong Director of Clinical Integration Ben Podsiadlo. During his talk, Podsiadlo discussed the three core concepts of the Boot Camp, including the checklist mindset, EKG, and clinical pattern recognition and team debriefing when managing patients with STEMI. The event emphasized the key pillars of addressing these forms of heart attacks, and included representatives from the EMS, nursing and allied health professions. 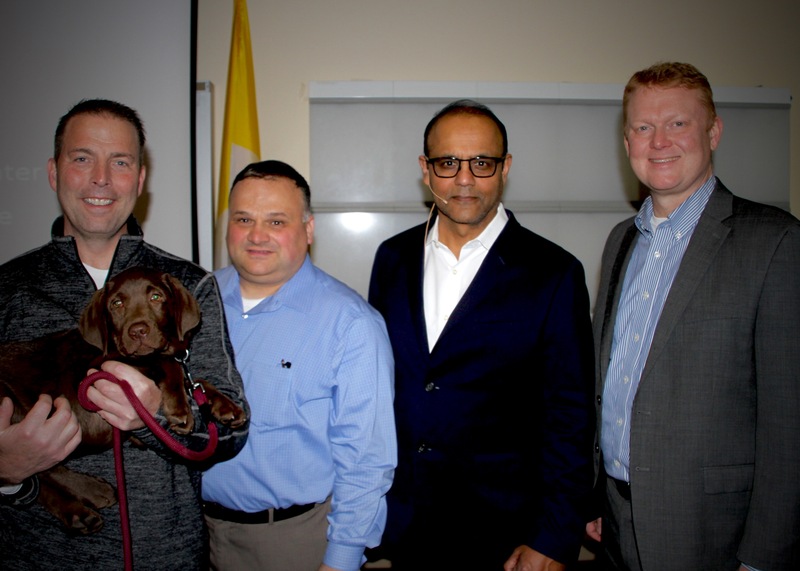 Podsiadlo and Raymond were joined at the Boot Camp by Armstrong’s resident therapy dog, Willie Blue Armstrong, who was honored by the event organizers as the Mascot of the Year.